We are coming to the end of the 'breeding season' here in South Africa for many animals and as a consequence many male birds will loose their magnificent 'breeding colour's. Not only will this South African resident bird the Long-tailed Widowbird (Euplectes progne) loose his contrasting black, red and white markings (feathers) and return to quite a drab looking individual but he will also loose his very impressive 500mm (18in) tail feathers (12no) as well. 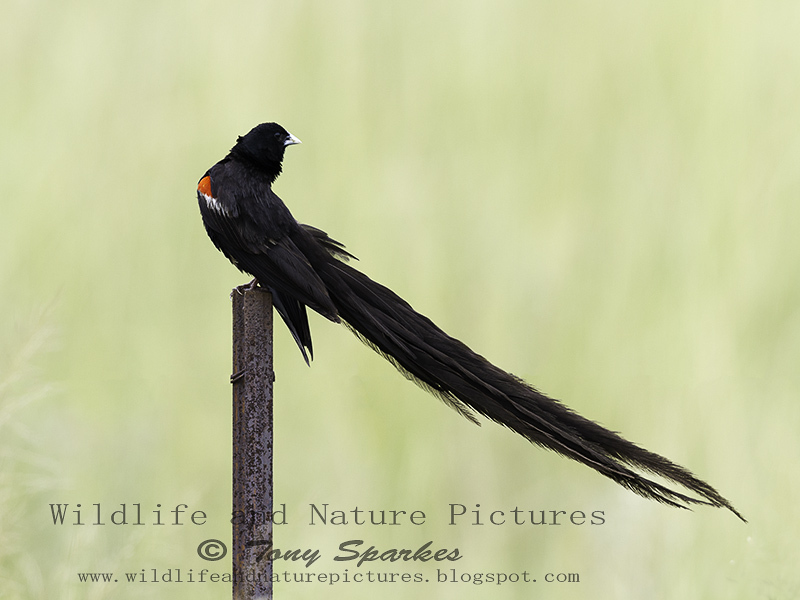 I captured this male Long-tailed Widowbird just a few weeks ago displaying his 'magnificent' long tail as you can see.